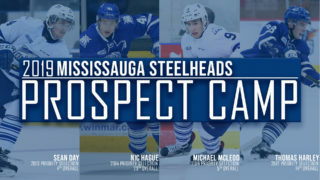 MISSISSAUGA, ON – The Mississauga Steelheads return to the friendly confines of the Paramount Fine Foods Centre; looking to bounce back from a northern swing which saw the team record one out of a possible six points. The team fell 4-3 in overtime to North Bay on Thursday night before falling in frustrating fashion to both Sudbury and Sault Ste. Marie by scores of 3-0 and 6-4 respectively. While the results did not go the way of the Trout, there were some encouraging performances from some of the team’s new faces. Aidan Prueter was amongst the goal scorers for the first time with the Steelheads thanks to a smooth backhand finish on Thursday night. Jacob Ingham turned aside 28 of 30 shots on Friday night in Sudbury and rookies William Portokalis and James Hardie each scored against the Soo on Saturday. A pivotal weekend awaits the Steelheads as they face off on three successive nights against Western Conference opponents – at home vs Flint (8-33-3-0), away to Owen Sound (22-16-2-2) and back home against Sarnia (18-19-5-2). The Flint Firebirds come into Friday’s game on their best run so far this season, compiling five out of their eight victories this season in the past ten games. Two of the Firebirds standout players this season have been ‘99 born forward Jacob Durham who has recorded 48 points in 48 games this year and ‘00 born Eric Uba who in his first full-time OHL season has scored 15 goals and 17 assists in 43 games. 2019 draft-eligible defenceman Vladislav Kolyachonok (Minsk, BLR) leads from the back end and will hope to continue to bring a spark as the Firebirds look to continue their improved play to end the year. Emanuel Vella (Toronto, ON) and Luke Cavallin (Greely, ON) split time in goal for the Firebirds. It was Vella who backstopped the Firebirds in the team’s only other meeting this season which saw the Steelheads win a high-scoring 5-4 game in Flint on the back of Alan Lyszczarczyk’s 4-point outburst. The Attack were amongst the movers at the OHL’s trade deadline. 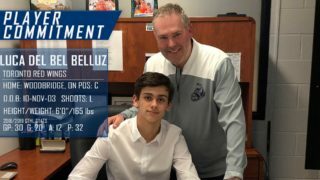 The team made two major deals which saw the likes of captain Nick Suzuki, forward Zachary Roberts, defenceman Sean Durzi and Team Canada under-20 Markus Phillips join the Guelph Storm for a windfall of draft picks and young players. The Attack, 5th in the OHL’s Western Conference, are led by a pair of NHL 4th-round picks in Aidan Dudas (LA) who has recorded 35 points in 42 games this season and Maxim Shushko (PHI) who has scored 27 points in 38 games. It is Mack Guzda who does the lion’s share of work in net for the Attack, posting a .888 save percentage and a record of 13-11-2-1 in his 27 GP this season. 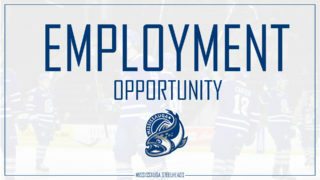 The last meeting between these two teams ended in a 5-3 defeat for the Steelheads, with Keean Washkurak registering two assists in the losing effort. 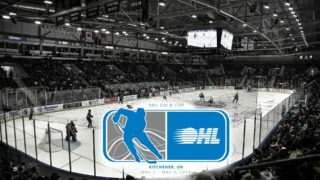 Sunday’s matchup sees the OHL Western Conference’s 6th-place Sarnia Sting led by Toronto Maple Leafs 6th-round pick Ryan McGregor and ‘99 born defenceman Franco Sproviero (38 points in 41 games) come to Mississauga. Between the pipes for the Sting is rookie Ethan Langevin. The ‘01 born netminder from Brooklin, ON has posted a .876 save percentage in 1501 minutes so far this season. The Sting are (2-5-3-0) in their past 10 and are seeking to hold off Windsor, Kitchener and Erie whom all sit within 5 points of the Sting in the Western Conference standings. The Steelheads came out on top in the teams only other meeting this season, a 6-2 victory that saw Cole Carter record a hat-trick and Joe Ranger turn aside 22 of 24 shots in his first career OHL win. Ty Dellandrea: Dallas Stars 2018 1st-round pick, Ty Dellandrea is the Firebirds leading scorer this season, having recorded 46 points in 38 games. 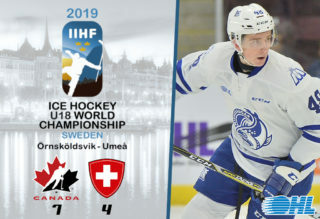 Dellandrea’s 1.21 point per game pace comes as no surprise coming off his performance for Canada at the Under-18 World Championships last April in Russia which saw the Port Perry, ON native scored 5 points in 5 games for the Canadians. Dellandrea comes into the weekend on a tear, tallying 13 points in the team’s last 4 games. Barret Kirwin: One of the newcomers to the Attack in the deal that saw Durzi, Suzuki and Roberts join the Storm was Barrie, ON native Barret Kirwin. The former 6th-round pick in the 2016 OHL Priority selection has scored 22 points in 39 games and scored his first goal for the Attack in their loss against Erie last Saturday. Kirwin has recorded three, three-point outings this season. Hugo Leufvenius: The ‘99 born Swedish forward has improved in his second year in the OHL lifting his point per game mark from .69 in 2017-2018 to 1.23 this year. 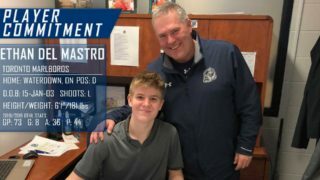 The former 22nd overall selection in the 2017 CHL Import Draft recorded his 100th regular season OHL point in Sarnia’s 6-2 loss against the Flint Firebirds last week. Leufenvius registered the league’s longest point streak this season, a run that lasted from November 9th to December 30th, compiling 26 points in that span.